After heralding its new single early this week, Winner confirmed that it will drop its last record of the year next Wednesday. The song marks Winner’s first release since its “Everyd4y” album dropped in April. 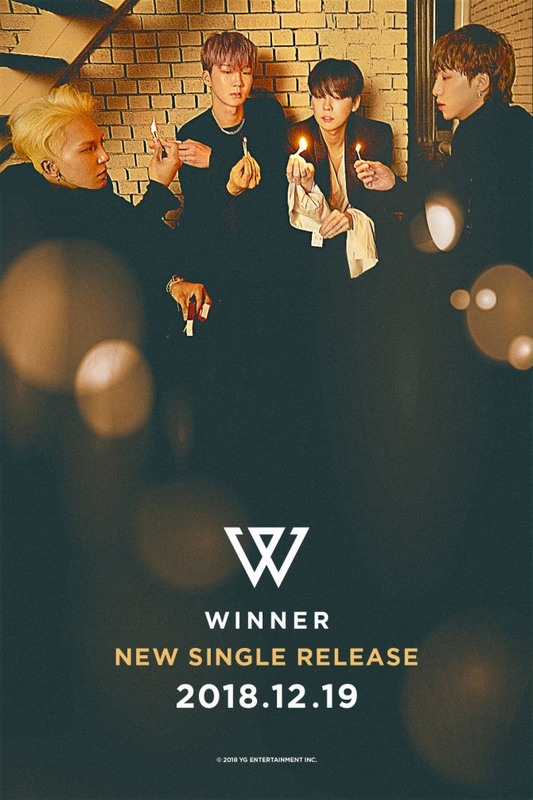 A teaser image for the new single features the four bandmates standing in a circle while holding lit matches. Having recently wrapped up its Asian tour, Winner will kick off its North American tour starting from Jan. 15 in Seattle. It will then visit San Francisco, Los Angeles, Dallas, Chicago, Toronto and New York until Jan. 29.